As someone with long and thick hair, I'm always looking for hair drying solutions. Those of which help reduce the drying time of my hair without causing any damage. 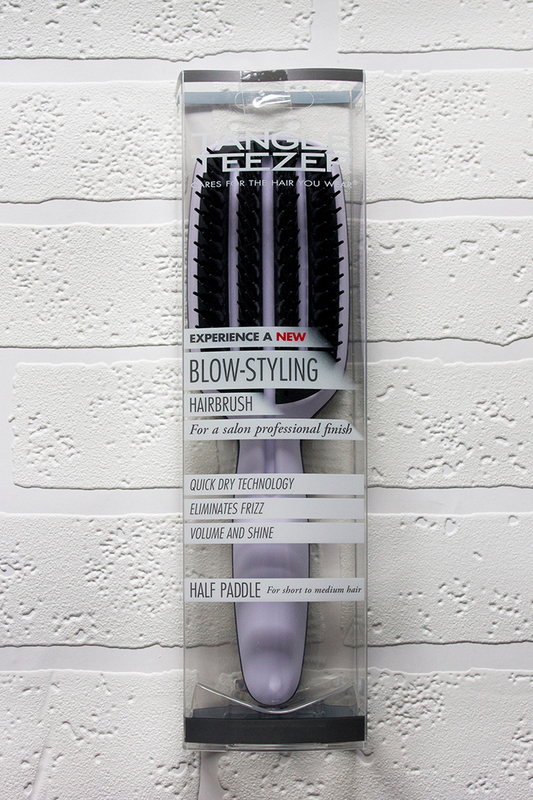 Being a big fan of the original Tangle Teezer, I had high hopes for their new Tangle Teezer Blow Styling Half Paddle Brush. With a strong reputation to live up to, does it meet my expectations? 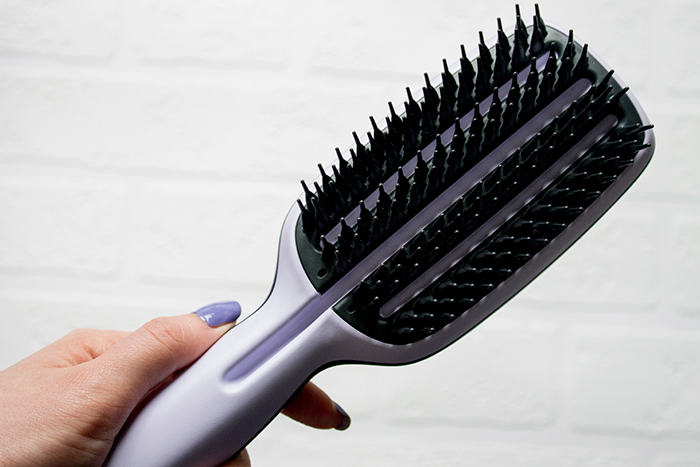 If you haven't heard of it before, the Tangle Teezer Blow Styling Half Paddle Brush is essentially a brush which detangles just like the original, however the fixed teeth help remove excess moisture from the hair, thus resulting in a quicker blow dry. If you've used the original Tangle Teezer, you'll know it's teeth are very flexible but this version is completely the opposite. There's no move on these bristles whatsoever. The Blow Styling Brush comes in two sizes but due to the paddle shape, I opted for the half size for a more comfortable brush. I find that the half paddle is already large and clunky enough as it is so I feel like I made the right choice, plus it's cheaper too! Now as for detangling, it does do a good job. However I feel like it has lost the main thing the Tangle Teezer is known for, it's flexibility to glide through the hair. Plus if you're a little bit rough with the new brush, clunking it on your head is pretty sore! The main reason for my purchase was the blow dry reduction time and I'm sad to say I really didn't notice a difference. I'd actually confidently say I found the brush shape made it a lot harder to dry my hair and just got in the way. Overall, it's not a terrible brush but for what it claims to do, I find it a bit unnecessary. In my opinion? Stick with the original.